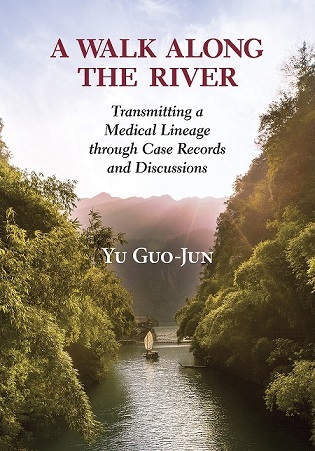 A Walk Along the River is a collection of case studies from the practice of Yu Guo-Jun and his teacher, Jiang Er-Xun, a modern-day master of classic formulas. Dr. Yu is a prominent physician-scholar of traditional Chinese medicine in the city of Leshan in Sichuan province. In cases ranging from coughs, palpitations, and dizziness to vomiting, depression, and skin issues, Dr. Yu provides incisive and practical advice on the process of diagnosis. He also shares his experience and that of his lineage of teachers on how to use the rich materia medica of Chinese medicine to achieve the best results. The case studies are presented as part of an ongoing workshop in the form of a dialogue between Dr. Yu and other experienced physicians. In lively back and forth discussion, questions are asked that would likely occur to practitioners in the West, and Dr. Yu is pressed to explain, and often defend, his methods and choices. This produces a more three-dimensional view of how skilled practitioners in modern China deal with a range of topics, from specific treatment approaches to the issues that occur when engaging the Chinese medical tradition. A Walk Along the River is a rare view into the processes by which experienced practitioners think about medicine and how it is transmitted across the generations. It is a treasure trove of insights and treatment approaches including many that are not found in standard textbooks.